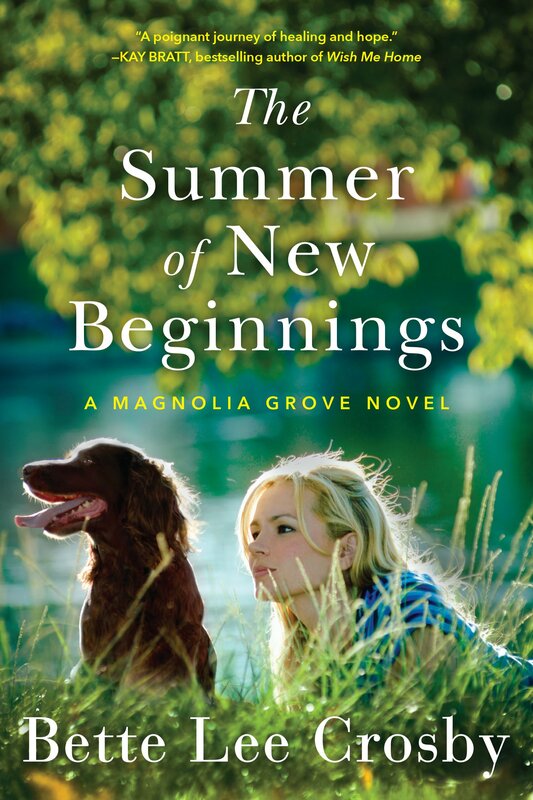 The Summer of New Beginnings: A Magnolia Grove Novel has already racked up over 50 advanced reviews on Goodreads with 4.72 stars! 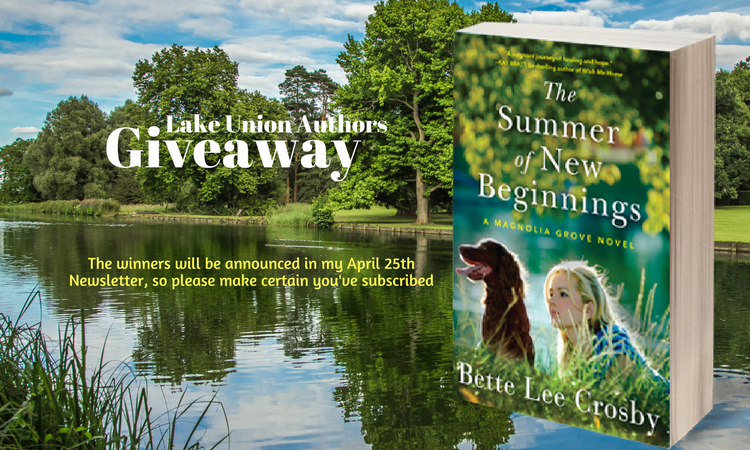 Want to win a signed paperback copy of The Summer of New Beginnings? Just leave a comment about why you want to read my new release with Lake Union Publishing. The winner will be announced in my Words, Wit & Wisdom Newsletter on April 25th. If you’re not a subscriber just fill out the form below. You’ll receive free gifts just for signing up! Success! Check your email for your first free gift! Don't miss my new release in 2018! I’ve been hearing such great things about this book, and I can’t wait to read it! Reviews are the best way to market a product because when you get response from others, it is clear whether or not to go for it. I’ve been seeing nothing but great responses. Congrats! Love all of your books and would love a physical copy for my own personal collection. Love your books Bette!! Have a great day!! Summer is coming and I can’t wait for life to slow down so I can read many many books. I would love to have this in my bag. Thank you! Looks like a good book to read. Can’t wait to !! I am always looking for new writers, especially ones who love the South like I do. Plus we are both Betty’s, just different spellings. I’m always looking for something new and different from the usual to read. I would love to read The Summer of New Beginnings. Family, small towns, forgiveness, we all have something we need to be forgiven for, new beginnings, I really want to read and own this book. It sounds like a perfect book for me. This book sounds enticing. The reviews have been wonderful. Bette Lee Cosby books have such intriguing covers – they make you want to read them. I want to read because everyone needs new beginnings & I started a new beginning with my life very recently. I know this will be very inspirational. Would love to win!!! Reviews are great!! I want to read The Summer of New Beginnings because you are a new author to me and I’d love to read one of your books! A new author for me. I love finding new books. Thanks for the chance to win this book. I love the cover. Your an amazing author! I love your books, I very much want to read this one! I would love to win this!!! I would be so honored to win your books! Your writing technique is so enjoyable and fun! I want to read it because you really know how to weave a story. You are such an amazing author and I love your books. This would be my first book by you, I’ve enjoyed your Lake Union Page takeover! I’ve been a fan for a long time! I would love to win your new book! Would love a copy of this! I have it on my Kindle App but love holding an actual book. Haven’t read it yet but have heard it’s a really good book. Thanks! I would love to read your new book I have read the reviews and it sounds like an amazing book. The cover alone makes me smile!! I would love to read your novel. I like to collect up authors that I enjoy reading! I love all of your books and would love to win this one! The book sounds like just what I need right now. I live in small town America. After the death of my mom six years ago and the death of my only brother 17 months ago, my relationship with my sisters has become increasingly more and more valuable to me. This novel sounds perfect for my heart. Rave reviews everywhere cover description sounds perfect for me. I absolutely love your writing style Bette. Would be thrilled and honored to win this book. I would love to read your new book it sound fantastic and I love the cover. I have been a book lover & avid reader since I first picked up a book. My parrnts use to find me with a flashlight under the blankets with my nose in a book. I enjoy many different genres but absolutely love to get lost in a series! I found Lake Union throught another author & through the fan page on FB am now a devoted fan of the LU authors. I would love to win this book! Sounds like a wonderful book to start the summer off with. 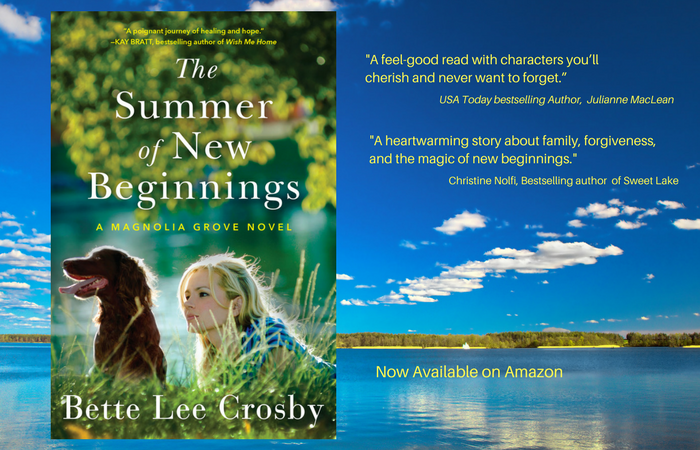 I read this book on my Kindle the Summer of New Beginnings but would love a signed copy I just loved the bond between two sisters. Family, forgiveness and new beginnings? Sounds like a book that I would really enjoy. Also the cover is beautiful! In a paperless world dominated by the internet, holding a paperback book with the author’s autograph is a real treasure. It is wonderful to be connected to so many writers via Facebook and blogs, because that’s the fastest way to hear about their latest releases. The “beauty of life in small town America” is one if the reasons I would like to discover reading this book. I’ve never read your books but this one definitely has my attention! I love books that instantly draw me into the characters lives! Family is so important! I would love to read your book because it sounds like it’s a really good book and I would be honored to receive a copy to read. Plus I looove to read books! Thanks for the opportunity!! I would love to have a signed copy. This was a wonderful book! I have the ebook but I still would love to have a hard copy to hold and keep. Who doesn’t like new beginnings?Can’t wait to read it!